Ninety-nine people died in traffic-related crashes in Prince George's County, Maryland, and 35 lost their lives in Fairfax County, Virginia, in 2017. The numbers mark a sharp upswing from 2016, despite both counties' efforts to eliminate roadway fatalities. WASHINGTON — Ninety-nine people died in traffic-related crashes in Prince George’s County, Maryland, and 35 lost their lives to crashes in Fairfax County, Virginia, in 2017. 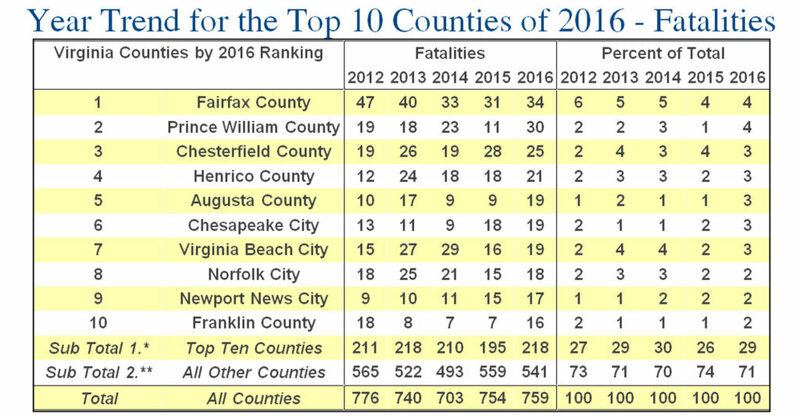 The numbers mark an upswing from 2016 (75 for Prince George’s, 34 for Fairfax), despite both counties’ efforts to eliminate roadway fatalities. 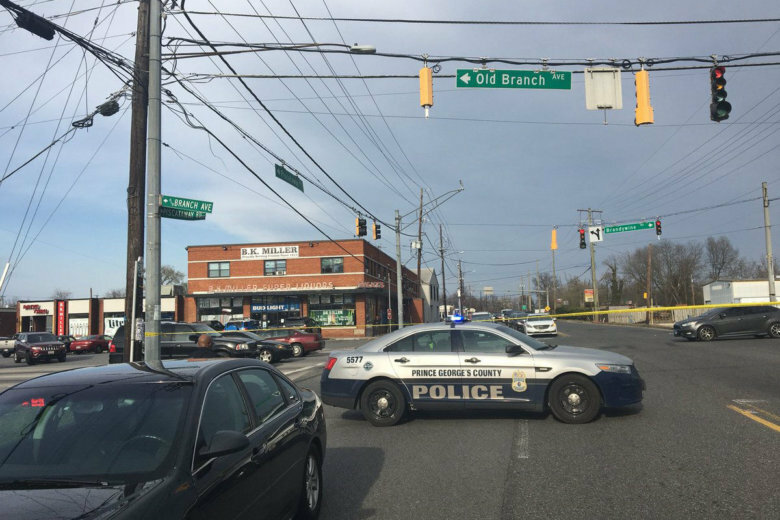 Mid-Atlantic AAA data show that Prince George’s County is particularly dangerous for pedestrians, with 24 losing their lives in 2017 compared to 19 in 2016. That gives the county the unpleasant distinction of having the highest number of pedestrian fatalities in the D.C. area. During the same span, Montgomery County saw 17 pedestrian deaths. The District had 11. Fairfax County had none. “Maryland has 24 counties and county-equivalents, and 157 municipalities. 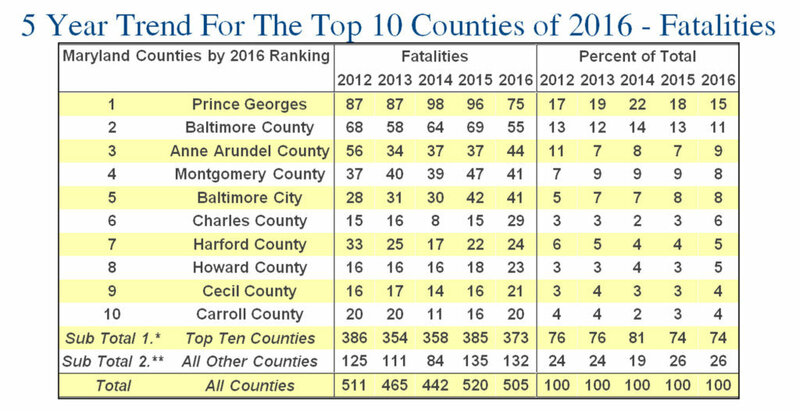 However, Prince George’s County not only has the highest highway death toll in the state, it also has the highest number of fatalities of any locality in the entire region,” John B. Townsend II, AAA mid-Atlantic’s Manager of Public and Government Affairs, said in a news release. He noted that Prince George’s County also leads the state in the number of crashes involving pedestrians and crashes due to distracted driving. In Maryland, from 2012 to 2016, the Fatality Analysis Reporting System shows that more people died on Prince George’s County roads than in any other area of the state, for a total of 443. From 2012 to 2016, the county also averaged 13,988 crashes annually. 2012: 87 deaths, 17 percent of the state’s total road fatalities. 2013: 87 deaths, 19 percent. 2014: 98 highway deaths, 22 percent of the total statewide. 2015: 96 roadway fatalities, 18 percent of the total statewide. 2016: 75 roadway fatalities, 15 percent of the total statewide. AAA mid-Atlantic data. Click to enlarge. Fairfax County doesn’t fare very well either. “Virginia has 95 counties and 38 independent cities. Yet the roads of Fairfax County are the scenes of the highest number of traffic crashes, highway fatalities, and road traffic injuries in Virginia. As of last year, 225 persons have lost their lives in traffic crashes in Fairfax County since 2012,” Townsend said. While Virginia’s numbers are lower in some instances, 3,772 people died in Virginia from fatal crashes between 2012 and 2016 versus 2,443 in Maryland. That’s an average of about 746 highway deaths every year, compared to Maryland’s 489. There are also an average of 179 people injured every day in crashes in Virginia. In 2017 alone, 6,418 people were injured, according to a Virginia Traffic Crash Facts report.